The US Department of Energy granted a US$1.37 billion loan guarantee to Brightsource Energy last week which could help clear the way for over 15 gigawatts of solar thermal power projects in California. Brightsource built a pilot plant in Israel to prove their technology and has tested it over the past 18 months. Their flagship Ivanpah project in California got a big boost when construction giant Bechtel agreed to build the plant. Solar thermal (often referred to as CSP) is a way of harnessing the largest source of energy available to us, so in this post I'll have a look at the upswing in interest in the technology in recent years and look at some of the approaches being pursued to make it economically competitive with coal fired power generation. One-time Australian solar thermal company Ausra was the leader in terms of publicity a couple of years ago when I last covered this topic, but the company seems to have slipped off the pace, failing to build a large scale facility and recently being purchased by French energy company Areva. Interest continues to bubble away in solar thermal power in Australia, with energy policy advocacy group "Beyond Zero Emissions" launching their "T10" campaign to switch Australia to 100% renewable power in a decade, largely using solar thermal power, and the Desertec Asia proposal also featuring CSP heavily. At one point Prime Minster Kevin Rudd was promising to build the world's largest CSP plant here but that idea hasn't had any media airtime lately - and neither has Worley Parsons' proposal to build a large scale plant in north west WA. The most active plans to build a local CSP plant seem to be coming out of ERM Power, who are proposing gas / solar hybrid plants to be built in Queensland and/or NSW in conjunction with Siemens. The company making the most waves from a technology point of view lately is Californian company eSolar, founded by IdeaLab's Bill Gross. eSolar has been in the news lately as a result of their partnership to construct turnkey CSP systems with German company Ferrostaal in Spain, the United Arab Emirates and South Africa. eSolar has also received attention for Chinese plans to build 2000 MW of combined solar/biomass facilities using their technology. The biggest lesson that we brought was — I don’t know if it was a lesson, but it was a philosophy — which is Internet-enable everything and put monitoring into everything. So we have a microprocessor in every mirror and we have statistics second-by-second on the status, position, reliability, pointing accuracy — everything — of every single mirror. We structured ourselves almost like an Internet company from the beginning to have logs of everything — every revolution of the turbine, every control from the control room, every Web cam image captured — so we could do data mining and data analysis on everything. We want the ability to make software upgrades and impact every power plant around the world. That’s probably one of the biggest differences between our technology and all other solar technology. If you [have] a big field of [photovoltaic] panels, those PV panels are there for 25 years. They’ll have that same performance, and there’s nothing you can do to change that. We can make a software upgrade and every power plant in the world can suddenly put out 3 percent more power potentially. And we found already a number of software improvements that we can make even over the past six months, which significantly boosts performance of an already-constructed power plant. There’s new improvements we can make to the actual hardware, too, but even without changing the hardware there are software changes that can make more power, so we’re really excited about that. * Don't build plants, get utilities (customers) to. For renewable energy, about 80 percent, maybe 90 percent, of the cost is upfront and there’s no fuel costs and the only cost over the years is operation and maintenance, which is small. The biggest bottleneck is that these things cost big dollars, and you’re limited how fast you can grow by how much money you can raise to build plants. Our particular strategy to deal with that is to not have us be the bottleneck for raising that money. Our customers raise that money. If we want to renewably power this planet, it’s going to take a lot of capital, and that capital has to be spent upfront. * Avoid environmental conflicts and transmission line costs by building smaller plants on brownfield sites near cities. 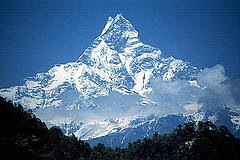 We have a strategy at eSolar to never impact pristine land. And the way we address that is several-fold. First, we have a higher output per acre, so we take a smaller footprint. Second, we’re economical at a smaller size. We can be fully economical at our 46-megawatt size. Those two things combined let us use a small enough footprint that we can locate on private land closer to population centers. So rather than needing 2,000 acres contiguous to make the economics work — which you almost only can find far away on pristine land or [federal] land — we can locate on only 200 acres very close to a city and we can buy previously disturbed farmland or other properties that’s already been developed so we’re not causing any disturbance to natural habitat. And that’s an important part of our philosophy. It gives us an economic advantage because we’re locating closer to transmission. That’s probably even a bigger factor. It takes years and years to build the transmission out to the pristine lands. [But] the power plant, for example, in Lancaster [California], is across the street from a transmission line. We didn’t have to build miles and miles of transmission, which takes years and years to get people to approve. * Leverage energy storage and volume of scale in manufacturing to reduce costs. I feel we still need to get almost another factor of two in the reduction of energy costs to potentially compete with coal. We’re already close to competing with natural gas. It depends on the sunshine and the region. Another factor of two is going to require two things to make that happen: Approximately 25 percent of that can be gotten by adding [energy] storage, and 25 percent can be gotten by increasing efficiency and lowering costs by volume production. We produced 500 mirrors two years ago, 24,000 last year, and this year we’ll produce a million. So we’re going to get a quantity break just by going to a million mirrors from 24,000. And everything gets more efficient in the supply chains as you get up to those volumes. Anything that we buy in our lives that has dramatic cost reduction has seen a million — a million cars, or a million iPhones, or a million laptops. So far there’s only been thousands of heliostats. So finally this year we’ll cross the million number and that’s when we can get the price reduction to really be competitive with fossil fuels. 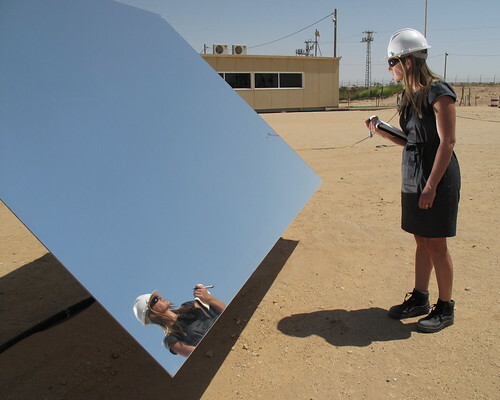 Google recently announced they have developed a prototype for a new mirror technology that could cut by half the cost of building a solar thermal plant, with both eSolar and BrightSource expressing interest in using the technology. Anyone notice the mirrors wandering all over the place towards the end of his presentation? but this might be mistaken for battery storage or other energy storage, by those who don't know about CSP plants. Storing heat is far more efficient than storing electricity. And it is what makes CSP such a great energy choice, to my mind. It produces more valuable dispatchable power, day and night. I like what eSolar is doing, and agree that its great to be able to build and run a 46 MW solar thermal plant economically, and near power lines. At the same time, I think HVDC lines should be installed to further expand CSP's potential. Large scale development would still only use a tiny percent of the available land in the southwest, where there's about 1,000 GW generating capacity potential, 275 GW in Arizona alone. Even relatively northern Oregon has 12 GW potential. With heat storage, the NREL gives a 72% capacity factor for CSP power tower type plants and over 50% for solar trough plants. Even those factors can be increased with more heat storage. The NREL is using 6 hours storage in their estimates, if my memory is correct. CSP and natural gas also make a good combination, instead of the heat storage. CSP plants that are built without heat storage, could be expanded and retrofitted for heat storage later, providing the land is there.